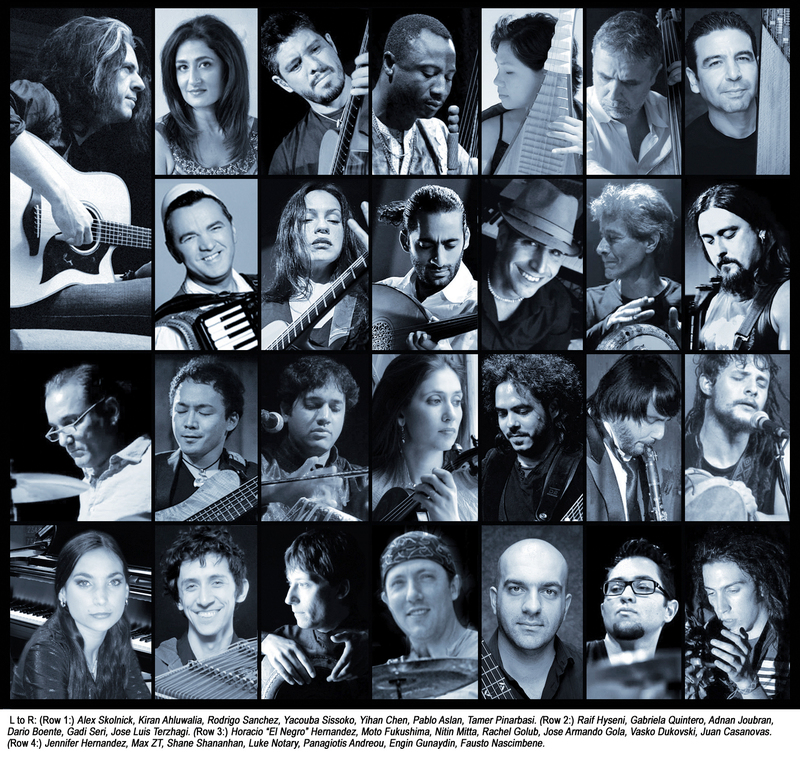 Twenty Seven Musicians. Five Continents. One vision. Row 4: Jennifer Hernandez, Max ZT, Shane Shanahan, Luke Notary, Panagiotis Andreou,Engin Kaan Gunaydin, Fausto Nascimbene.